– General N.B. Forrest fought a delaying action at Ebenezer Church, near Stanton, Alabama, on April 1, 1865. Forrest was wounded in the action, but true to legend, killed his opponent. – A number of entries from Selma, Alabama this week. During the War, the an ordnance works, located off Water Avenue, produced among other items Brooke rifled cannon. Remaining artifacts from the factory include a lathe and anvil. A nearby arsenal processed the products of the works. When General James Wilson’s raiders arrived in April 1865 to destroy the works, a force of regulars, militia, and volunteer townspeople defended Selma. After the battle, Fairoaks, a local mansion, was used as a hospital. The St. Paul’s Episcopal Church was among those buildings burned by the raiders. – Another entry from Selma discusses the White-Force Cottage. During the Civil War, Martha Todd White, half sister to Mary Todd Lincoln, lived in the house. Martha was accused of using a presidential pass to smuggle medial supplies through the lines during the war. – Outside Rogersville, Alabama, a memorial to Confederate General Joe Wheeler stands on the shore of a lake named after him. – A marker in Japser, Alabama notes the dedication of the Walker County Confederate memorial in 1908. We are looking for photos of the memorial. – A memorial in Cornwall Hollow, Connecticut honors General John Sedgwick. – A marker in Macon, Georgia discusses the origin of Confederate Memorial Day observances. – Five entries from Baxter Springs, Kansas. A weathered marker discusses the battle fought there on October 6, 1863. Members of the 2nd Kansas Colored Infantry defended Fort Blair at the site. The historic site park includes a replica of the fort’s blockhouse and traces of the breastworks. – A new marker on the Antietam battlefield explores why the Rohrbach Bridge became the Burnside Bridge. – A memorial on Boston Common, in Boston, Massachusetts honors men from the city who died in the war. – When Federal troops occupied Natchez, Mississippi, a former slave market at Forks of the Road became a contraband refuge. – A memorial in Poughkeepsie, New York honors men from both Dutchess and Columbia County who served in the war. – The G.A.R. memorial in Brewster, New York received updates to honor veterans of subsequent wars. – Near Bergholz, Ohio, a memorial honors the war dead from the local township, listing names and date of death. – Three entries from the streets of Gettysburg, Pennsylvania. One marker relates details associated with the death of Jennie Wade. The National Homestead at Gettysburg was built post war, but among its first students were the children of Amos Humiston. Retreating through Gettysburg, members of the 11th Corps used Stratton Street on July 1, 1863. 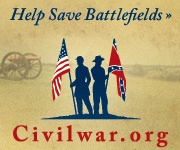 – Eighteen more entries from the Stones River battlefield as we continue to document that battle’s markers. – A marker near McMinnville, Tennessee notes the bivouac site of Forrest’s cavalry during a July 1862 raid through central Tennessee. Confederates also mined nitrates from nearby Higgenbotham’s Cave during the war. – A plaque in Falls Church, Virginia notes the site where an oak once stood, allegedly used by John Mosby to hang unionist spies.